Aside from keeping The Trollish Delver updated, I've been working on a number of different projects, ranging from core rules to adventure modules. USR (Unbelievably Simple Roleplaying) has been a big focus for me in the past year and I've had the pleasure of watching a nice little community form around the game. How has USR advanced in the last year? It's been a big year for USR with a couple of new projects being released. 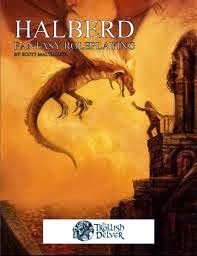 In August I released Halberd Fantasy Roleplaying, the first core game using the USR rules. It's a fantasy game with a comedy twist - think Discworld. Everyone can use magic, people go into the business of 'flipping dungeons' for profit and there are all kinds of guilds and organisations causing chaos in the world. Halberd has been pretty well received and I'm looking at doing a guide to Tequendria, the game's setting. The most recent release was USR Cyberpunk, a supplement to the core rules that allows players to roleplaying in a cyberpunk setting like Akira, Blade Runner or The Sprawl Trilogy. I found it hard to find a cyberpunk game that suited my play style, which is fast and light, so I created USR Cyberpunk to do just that. You still have all your body modifications, hacking, drugs and all that awesome stuff, but it's also super easy to play. So I'm quite proud of that. 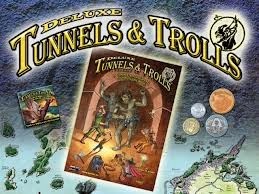 Are you excited about Tunnels and Trolls Deluxe? Very much so. From what the team has been putting out in update emails and having read through the lite version of the rules, it's looking like it's going to be the definitive version of the game. However I'm mostly excited to read the campaign setting, which there hasn't been in any previous T&T ruleset. Right now I've got a few irons in the fire. I've begun work on a new game called Shadows of Persephone, which I refer to as 'if Lovecraft wrote A Princess of Mars.' Crazy alien adventure with a load of eldritch evil thrown in. This is my first game that won't be using the USR rules, although it's still going to be a relatively rules lite game. 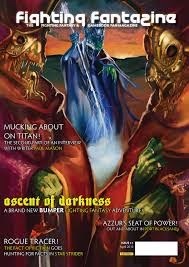 Another that should be coming out around May time is an adventure I've written for a new anthology called Apocalypse in Your Hometown published by Peryton Publishing. All the scenarios in that book are for use with Stay Alive!, a great set of variant T&T rules by Jerry Teleha of Darkshade Publishing. Each author has written about a different apocalyptic scenario involving their home town, which is a pretty cool idea. Mine involves witches. What makes a gamebook stand out to you? It's got to do something different. Whether it's a cool mechanic or a completely crazy concept, it needs to do something I've never seen before. This is why I'm such a big fan of Trial of the Clone by Zachary Weiner, which is a great send-up to the sci fi genre with its own groovy mechanics. Also, if you get me to feel an emotion during a gamebook, then you've written a good one. It's really difficult to have the same impact story-wise with a gamebook as with a regular novel, so anything that makes me care about a character get bonus points from me. A poor plot. There are some gamebooks I read and it's like 'Oh, hey, it's another fetch quest' and all I'm doing is going from encounter to encounter until I finally get the MacGuffin. Also, lazy writing hurts a book a tonne. I want to smell the exotic market, to feel the hilt of my sword and to taste the sweet smoke in the air. If you're giving me bland descriptions then I don't care about your world, plain and simple. I think it's making sure that you're presenting the reader with meaningful choices. I'm not a fan of choosing to go left or right and being given no other information about those directions. You want the reader to care about what they're doing and the characters in the book, so coming up with choices that are really going to make them think is a tough one. Aside from that, though, it's making sure everything flows correctly and you don't get any recursive loops. When your sections start getting into the high numbers it gets trickier to not trip up over yourself. For me it's crafting a world. It's the same reason why I love to be game master in my home games. I love fleshing out the history of a place, what its people are like and what nasty creatures are likely to ensnare you. Then it's knowing that someone will be exploring your world and having their own experiences. That's really cool to me. 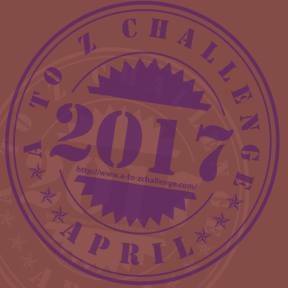 What advice would you offer to someone who wants to write a gamebook for the first time? Don't be a carbon copy of Steve Jackson or Ian Livingstone. Those guys did a great job with Fighting Fantasy, but we're living in a world where people are more likely to play their PS4 than crack open a lo-fi gamebook. You need to give them a reason to put down their controller and play your game. Think about things you have never seen in gamebook form. Get a notebook and fill it with ideas, mechanics and worlds. All this planning with pay off down the line. If you're going to just make another fantasy fetch-quest then few people will really care. I'm going to be producing a new Tunnels & Trolls solo adventure for the new Deluxe edition rules, so I'm really looking forward to that. Other than that, I have some plans for Halberd Fantasy supplements and scenarios for USR Cyberpunk. I really want to see new innovations in digital gamebook technology. We're always seeing great stuff come from Tin Man Games and now Inkle Studios have their amazing take on the Sorcery! series, so I want to see more original gamebook using the mobile medium to its full advantage, but also a return of classic gamebooks, which we're seeing with Way of the Tiger. Thanks very muchly, Scott. You can find Trollish Delver here, his Twitter feed here and his other blog about folklore (called Midnight Folklore) here.